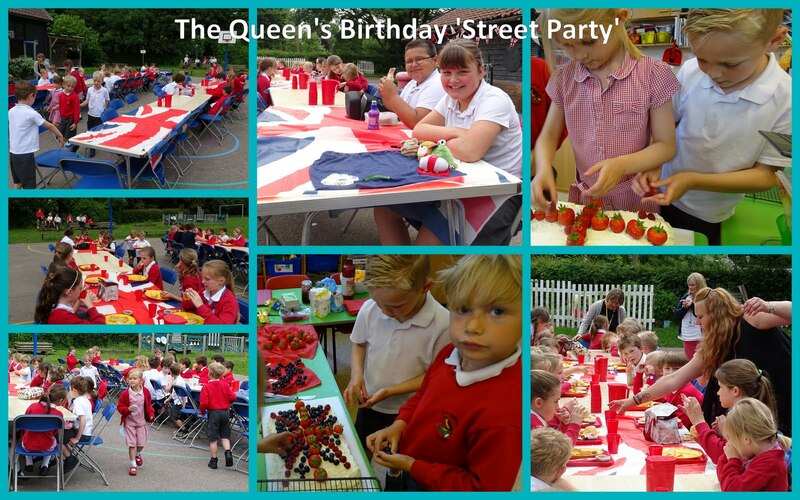 On Friday 10th June, in celebration of the Queen's 90th Birthday, the pupils enjoyed a very different lunch. They had a 'street party' on the playground. Red Class made a union flag cake with different types of fruit providing the colours.